The man at the helm of Honda’s World Superbike effort has parted ways with the squad ahead of the 2018 season. 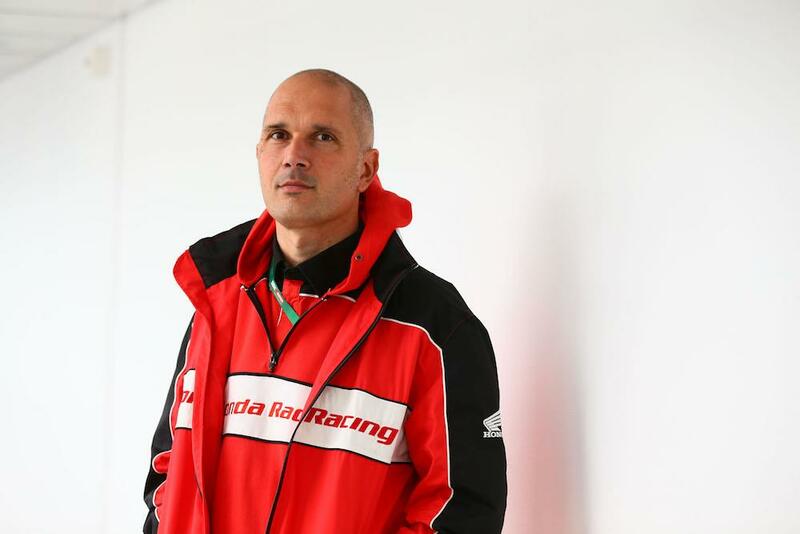 MCN understands Marco Chini, Honda’s WorldSBK Operations Manager, has left his role with Honda Motor Europe with just over a month to go until the 2018 World Superbike season kicks off at Phillip Island. Chini was the representative from Honda Motor Europe employed to oversee their World Superbike involvement, working closely with the Ten Kate-run Red Bull Honda effort. Confirming Chini’s departure, a Red Bull Honda spokesperson told MCN there is no news as of yet as to who will replace the Italian. Chini is the latest in a number of senior changes at Red Bull Honda after Ten Kate technical chief Pieter Breddels left the outfit towards the end of last season and Ronald Ten Kate opted to take a step back with Kervin Bos moving into the team manager’s role. Testing will get underway for the team at Jerez on Tuesday with Jake Gagne joining Leon Camier on the Red Bull-liveried Fireblade for the first time since signing for the squad in December. The team experienced a tough 2017 season with a combination of issues, starting with the late arrival of the all-new Fireblade this time last year, before the tragic and untimely death of Nicky Hayden in May left the outfit without its lead rider. Camier impressed when he first jumped on the Fireblade SP2 at Jerez in November, sparking hopes for significant improvements from the team in 2018.